Marcus is a fourteen year old who just started Diary of a Wimpy Kid a couple weeks ago. Not the first book. The whole series. And, he finished it. Pretty cool, but frankly not that remarkable. There are kids all over the world tearing through those books. What makes it remarkable is that Marcus dropped out of school in the second grade. What makes it remarkable is that Marcus hasn’t read a book since the second grade. What makes it remarkable is that Marcus is incarcerated. Now, because of that graphic novel, Marcus believes in himself. He’s smart. He can achieve. He can be successful. 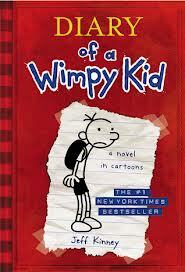 And, it has me scrambling for more books like Wimpy Kid. On All Things Considered, NPR recently celebrated graphic novels and shared some of their top picks. I can’t wait to check some of them out! Marcus loves graphic novels. Kids love graphic novels. So should our libraries be stacked with them? Yes and no. For choice reading, we should be giving our kids access to graphic novels because they are awesome. During choice reading we should also be modeling to our graphic novel enthusiasts that good readers read other books, too. We’ve all had the kid who has started the Naruto series and never checked out another type of book again. Incorporate a ton of graphic novels in your library, but also ensure that kids are reading different genres. Teach students how to be strategic with graphic novels. During mini lessons, model how to read a graphic novel or comic book. In the same way that we need to explicitly teach reading nonfiction text features (read the captions! ), we need to teach students how to read graphic novels. During shared reading, up the ante. The Common Core pushes us to use difficult texts with our students. While graphic novels can be sophisticated, and one could argue have a place in shared reading, you may want to spend time doing close reading with speeches or poetry before your favorite graphic novel. I appreciated Timothy Shanahan’s post about graphic novels during close reading. Continue sharing graphic novels with your students. 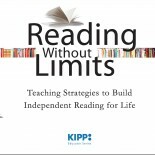 They are one of the best tools for engaging reluctant readers. Teach kids how to read them, and continue sharing all of the other great genres. This entry was posted on January 6, 2013 by Maddie in Common Core, Reading Lessons, Reluctant Readers, Shared Reading and tagged choice reading, close reading, Common Core State Standards, graphic novels, independent reading strategies, maddie witter, reading conferences, reading without limits, shared reading.